The average expense for Ava Hills Assisted Living is around $2,125 per month. The Wedowee estimate for this level of care is around $2,318. While the US average cost is approximately $3,500, the State of Alabama comes in at $2,894 each month. Situated in Wedowee, Alabama, Ava Hills Assisted Living provides senior living in a comfortable and safe setting. The zip code of 36278 which contains this facility is a primarily average income area. It has a median family income of $36,663. It has a sparse population, with approximately 4,366 people in the surrounding area. This residence is conveniently located, with healthcare services, retail shopping, and churches all within the surrounding area. They are located just 1.4 miles from Wedowee Hospital. There are several drug stores within one mile of the facility. Also, there are 2 churches within four miles, which include Antioch Baptist Church and Antioch Baptist Church. Ava Hills Assisted Living offers assisted living. 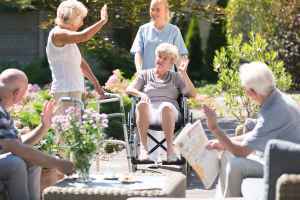 They can provide care for older people who are able to move around on their own but may need assistance with completing common activities like showering, preparing meals, and house cleaning.